Cory’s had a rough year struggling with severe depression. He’s desperate to rebuild his shattered life and break away from his demanding family. When his therapist encourages him to do something for himself, he knows exactly what he needs. I want to see Asher again. The best friend Corey ever had who, at fifteen, held Cory’s heart in his hands without knowing it. Asher’s had a troubled relationship with his father since he came out. Now that Pops is sick, he’s fighting for his right to help or even find out about his father’s health. Then there’s the complication of an ex-boyfriend unwilling to let go. When Cory and Asher meet again after sixteen years, Cory’s feelings are as strong as ever. But does Asher feel the same? When the song ended, I opened my eyes and clapped with the others. He didn’t look up or say anything, just started strumming another slow song on the strings. Judging by the cheers from the room, it was a popular one. And then he lifted his head, opened his eyes, and started singing. Both my hands flew to my face and covered my mouth. Sixteen years later and I still would have recognized him anywhere. The hair was as unruly as ever, and just as rock ‘n’ roll as his voice. The jawline so sharp he could probably cut glass with it. And the nose was still a little too big for his face. I couldn’t see his green eyes from here, but I remembered them vividly. The pale color of a leaf newly broken out of its bud in spring, was such a stark contrast to his black eyelashes and olive complexion and had always hypnotized me with their beauty. When he started singing, his voice pulled me out of my initial shock. The words struck a chord inside me. They reminded me of our friendship, all the way down to the scraped knees. Had he written this song? Had our friendship inspired him? He sang with such emotion, and the pronouns he used didn’t escape me. Asher was singing to a man, and my stomach made a hopeful jump. I swallowed. I didn’t understand. That sounded just like … I shut down that thought immediately. It couldn’t be. After the last chord rang out, the bar was deadly silent for a heartbeat, and then everyone started cheering and clapping and whistling. I folded my arms on the table in front of me and collapsed with my forehead on top of them and my face hidden in the dark space between. Had I heard what I thought I’d just heard? Was that song … about us? Had he had feelings for me too, back then? The thought made me shake, and I grabbed my elbows and squeezed to keep myself from flying apart. I took a deep breath and didn’t let it out until my lungs screamed and burned in protest. I repeated the process several times until my teeth had stopped chattering and my heart had slowed its furious pace. I was still hiding when someone cleared their throat in my vicinity. His voice was as deep when he spoke as when he sang, and it sent a shiver down my spine, completely different from the previous desperate shaking. I took a deep breath and raised my head. Forcing myself to face him. At first, he didn’t seem to recognize me. He searched my face for clues, but it only took a few moments for the spark of realization to light up his eyes. Nell Iris is a romantic at heart who believes everyone deserves a happy ending. She’s a bona fide bookworm (learned to read long before she started school), wouldn’t dream of going anywhere without something to read (not even the ladies room), loves music (and singing along but let’s face it, she’s not Celine Dion), and is a real Star Trek nerd (Make it so). She loves words, poetry, wine, and Sudoku, and absolutely adores elephants! Nell believes passionately in equality for all regardless of race, gender or sexuality, and wants to make the world a better, less hateful, place. Nell is a 40-something bisexual Swedish woman, married to the love of her life, and a proud mama of a grown daughter. She left the Scandinavian cold and darkness for warmer and sunnier Malaysia a few years ago, where she spends her days writing, surfing the Internet, enjoying the heat, and eating good food. One day she decided to chase her life long dream of being a writer, sat down in front of her laptop, and wrote a story about two men falling in love. 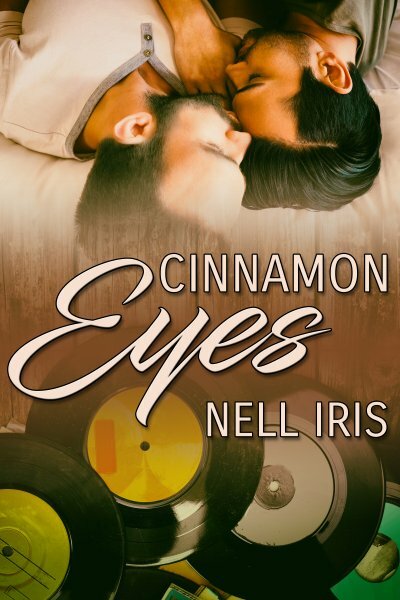 Nell Iris writes gay romance, prefers sweet over angsty, and wants to write diverse and different characters.